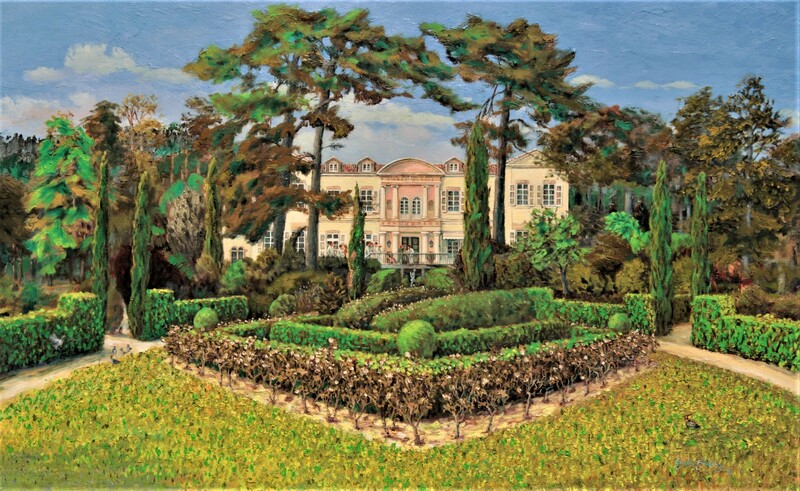 The chateau, besides fine wines and beautiful gardens for you to enjoy, has a light airy exhibition space. Tomorrow I have an appointment with the owner of chateau de Saurs who’s company I always enjoy. We may go sketching together some time soon if it’s not to hot. Later, several other domain owners during the day. It’s about wine (not interesting for you? 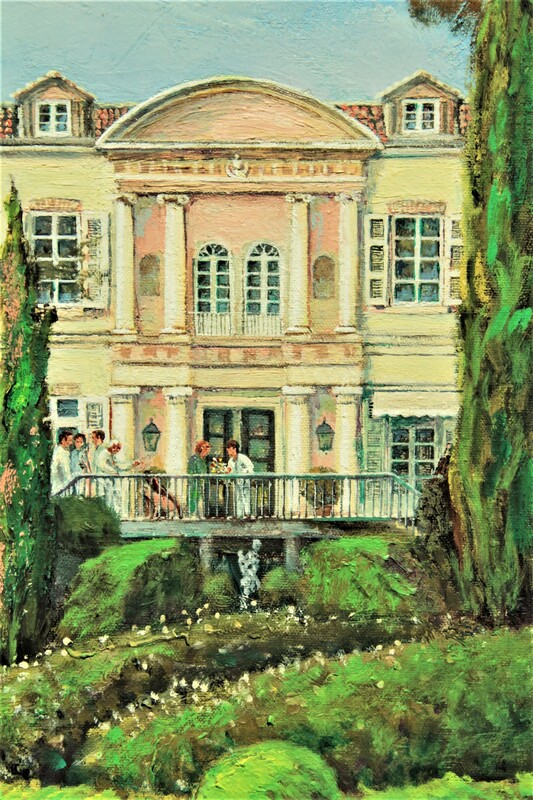 ), painting and exhibitions. I painted de Saurs a couple of years back.